The New Skinnygirl Snack Swap and Win! I want to introduce to you the new Skinnygirl Snack Swap 2.0! The newest version of this fun website includes 27 brand new recipes that match up to the new Tasty Nutrition Bar flavors. These bars are less than 200 calories, an excellent source of protein, good source of fiber, gluten free, Kosher, and are made without artificial sweeteners or flavors. Whether I am traveling, at the gym, or just running errands, the Skinnygirl Tasty Nutrition Bars make a perfect anytime, anywhere healthy snack! What is the Skinnygirl Snack Swap? Skinnygirl is encouraging women to swap out their usual snacks for healthier options through the Snack Swap site. The website features a playful tool that asks you to choose your favorite snack and indulgence then it picks a healthier option to match that craving. There are plenty of nutritionist-approved healthy snack ideas and a social aspect by sharing the snack swap #SGSnackSwap. For me, I love lemon. Lemon Bars, Lemon Cake, Lemon Donuts, you name it. 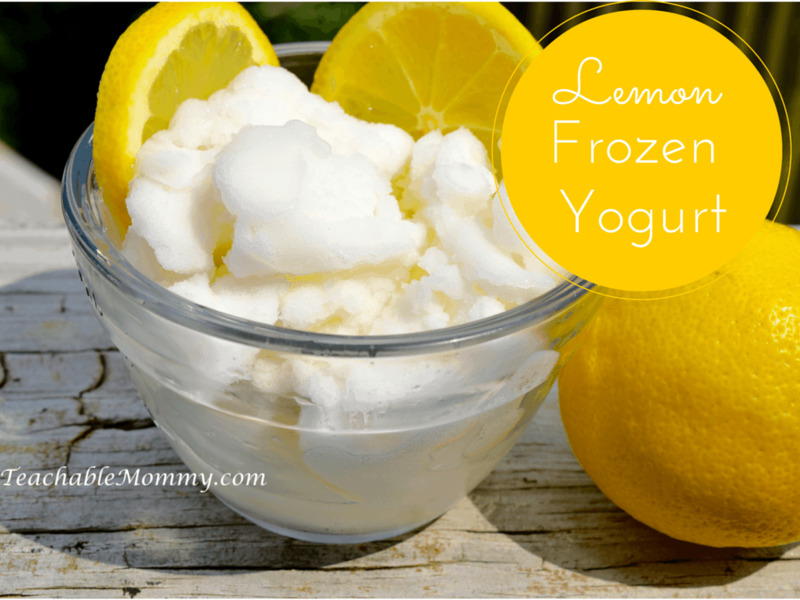 The Skinnygirl Snack Swap website came up with the Lemon Frozen Yogurt for me to try. It is light, refreshing, satisfies my lemon craving, my sweet tooth, and it’s not going to break my calorie goals for the day! 1.​​Combine agave nectar and lemon juice in a medium saucepan. Bring mixture to a boil, reduce heat and simmer until consistency is that of a syrup. Remove from heat and add vanilla extract. Allow to cool and refrigerate. 2.​​Once lemon syrup has chilled, stir in lemon zest. Add yogurt and stir until completely combined. 3.​I​f you do not have an ice cream maker, pour mixture into baking dish or shallow container. Cover and freeze. Stir and scrape the mixture every 30 minutes for ~2­3 hours. If you have an ice cream maker, you can pour the mixture in and freeze/churn according to manufacturers’ instructions. This homemade lemon frozen yogurt has a tasty tang and refreshing zip thanks to its fresh ingredients. Using Greek yogurt ensures that you’ll be getting quality protein along with calcium in this healthy treat. 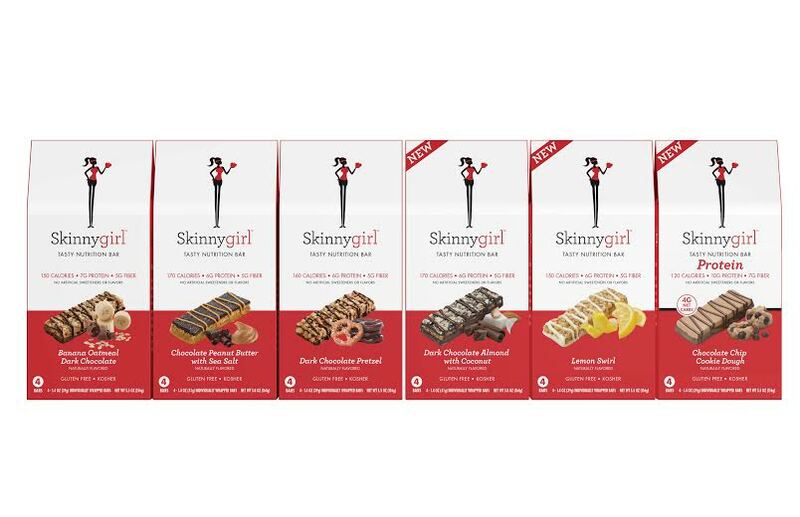 One Lucky Reader will win a month’s supply of Skinnygirl Bars! This post was written on behalf of Skinnygirl as a #SGSavvySnacker. All opinions are my own. Previous Post: « Make Everyday Adventures Extraordinary with Poppy Cat! I love anything lemon and am so going to try this! Love that lemon frozen yogurt recipe. So refreshing for summer. I like Skinny Girl snacks too! 1. Combine chickpeas, cashew butter, agave syrup, maple syrup, vanilla, baking soda and salt in a food processor or high-speed blender and blend until smooth. 2. Transfer dough into a mixing bowl and stir in chocolate chips by hand. 3. Chill in the fridge or freezer until cold. Mmm, this sounds so delicious and refreshing. I must make it this week — it is so hot and humid! Yum! I’ve never tried any of the Skinny Girl products but they do look great! Would love to try the snack wraps! I like these bars. I am all for getting healthy this summer. This is such a great idea! I know that snacking is what really gets me and it’s usually just because I can’t think of anything that sounds better! 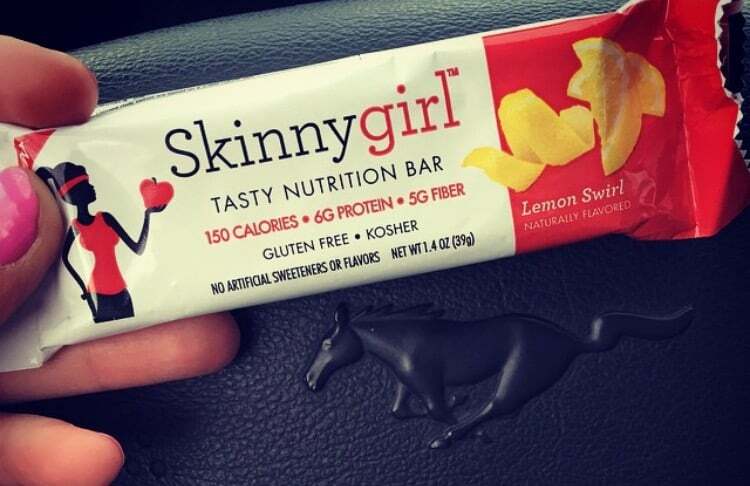 SkinnyGirl sounds like it has the perfect answer for my snacking needs! Those look amazing! I definitely could use these to toss in my back for a great snack on the go! Thanks so much for sharing this promotion. I would love to try the bars and see how they taste. I always try to have a snack mid afternoon and I’d love to trade that for these. I hadn’t heard of these before. Lemon Swirl sounds tasty. I love the idea of making healthier swaps and how you choose the lemon yogurt instead of the other lemon desserts. I should give this a try, I need to make some better swaps. These would be such a nice addition to a healthy diet. I like to have a nice healthy snack to keep me going on long days. The chocolate chip cookie bar is the best choice for me. Mmmm. Yum!! I love lemon desserts. Looks great. And I had no idea about these Skinny Girl snacks. Looks like a great option. I’ve actually tried the lemon swirl. I liked it, it was tangy just the way I like lemon anything! Thank you for sharing! I love the skinny girl drink flavorings. I will so have to check these out. Oh the lemonade with yogurt and skinny girl is pretty awesome sounding. Great giveaway too! I have never tried the Skinny Girl line but I have heard good things. I have been wanting to try their drink mixes! Drizzle air-popped popcorn with olive oil.